Imagine Communications today announced the launch of Landmark™ Express, a suite of compact, efficient and cost-effective advertising sales, rights and scheduling solutions for small and mid-sized broadcasters. Available in two cloud-deployable modules, Landmark™ Rights & Scheduling Express and Landmark™ Sales Express harness the power behind the company’s award-winning and globally deployed Landmark portfolio to offer future-proof advertising sales, rights and scheduling capabilities with minimal IT resources and reduced total cost of ownership. Landmark Express provides a modular, adaptable media business solution that meets the challenges of driving revenue, while managing increased workloads, multiple services and additional channels. Recognizing that small to mid-sized broadcasters have many of the same requirements as users of enterprise-level systems, Imagine Communications is providing customers access to well-integrated and proven modules including ad sales and campaigns, traffic, contracts, program planning, rights and scheduling with full-scale support services. These modules are deployable without involving complex IT decision-making or incurring significant capital investments. Landmark Express also provides flexible deployment models via private or public clouds, or in customers’ on-premises operations centers. “We have laser-like focus on investments in innovation and a product roadmap that enables cloud-virtualized solutions, which represent the future of our industry,” said Steve Reynolds CTO of Imagine Communications. “Landmark Express uses shared components of our world-class Landmark product family to allow customers to grow their businesses on their own timetable – for example, adding bundles to handle video on demand and advanced rights as required, without a complex install. 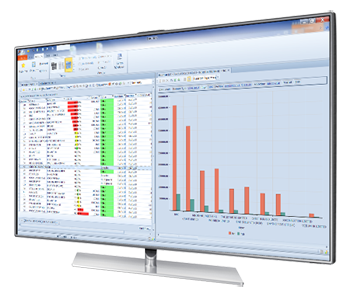 The Landmark Express portfolio features simplified configurations and standardized workflows, enabling the Landmark Rights & Scheduling Express and Landmark Sales Express solutions to be deployed together as a tightly integrated solution, or individually, to solve the ad sales, rights and scheduling needs of small to mid-sized broadcasters. The modular design allows for new services and functionality to be added over time, letting customers migrate or upgrade capabilities without changing underlying systems or architecture. Landmark Express leverages the power and scalability of Microsoft Azure, Microsoft’s cloud platform, to reduce system administration and support requirements and provide greater agility, flexibility and cost-savings.